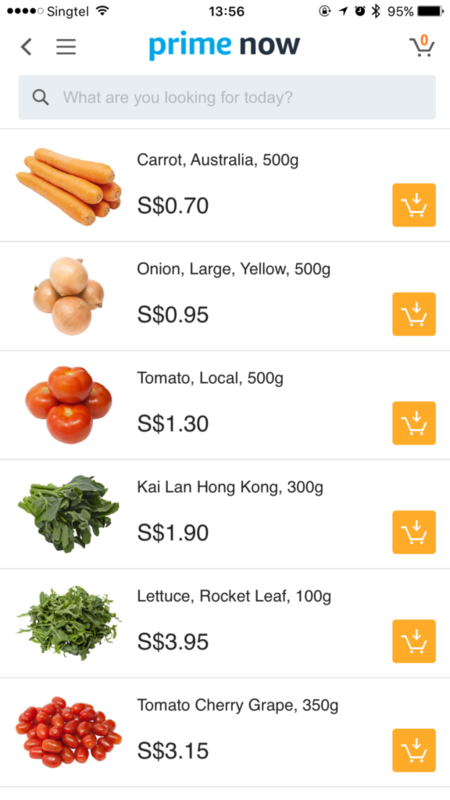 Amazon officially launches its two-hour delivery service Prime Now in Singapore on Thursday. Singaporeans will be offered thousands of products and are able to receive their goods via express delivery. Goods will be dispatched from its new fulfilment centre at the western part of the island. The fulfilment centre covered a total of 100,000 sq ft at the Mapletree Logistic Hub in Toh Guan Road East and is now the largest in the world. It hasn’t been a surprise to some, who have been following Amazon’s movements actively. There were reports last year claiming that the e-commerce giant will make its entry into the South-East Asian market. A source close to the company had even expected Amazon to launch selected services in Singapore by the first quarter of 2017, after its failed acquisition of RedMart last year. In the recent days leading up to the official launch, there was a series of high-profile Instagrammers making sponsored posts with regards to the service. This further the speculations that Amazon will land here soon. According to its website, Amazon Prime Now is a benefit of Amazon Prime where members can place orders fast with same-day delivery in selected zip codes. What’s in stall for Singaporeans? 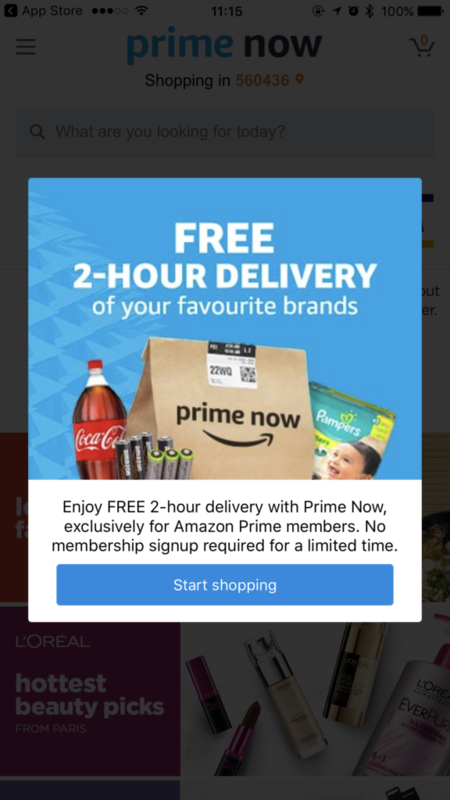 Although Amazon Prime Now is extended to only Amazon Prime members, yet the company is still in the process of launching the membership here in Singapore. Therefore, the Prime Now service will be available without the membership element for the current being. Orders over S$40 placed via the smartphone app will be delivered straight to your doorsteps within two hours without any delivery charges. 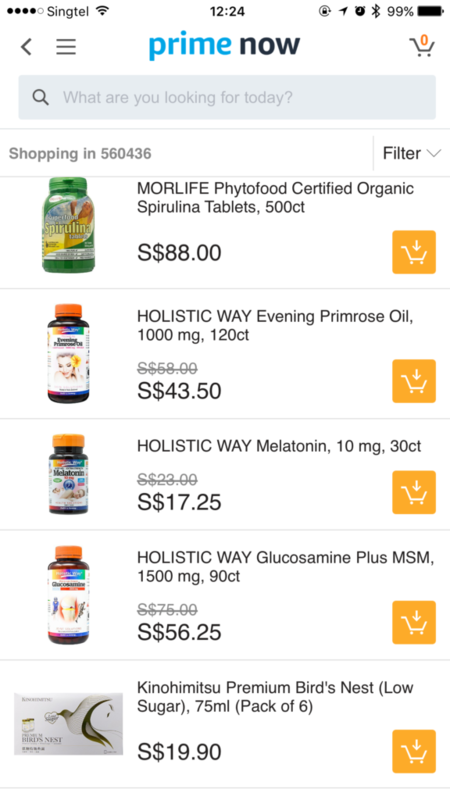 Customers can also pay an additional $9.99 to get their goods within 1 hour. And apparently, they are really selling almost everything. 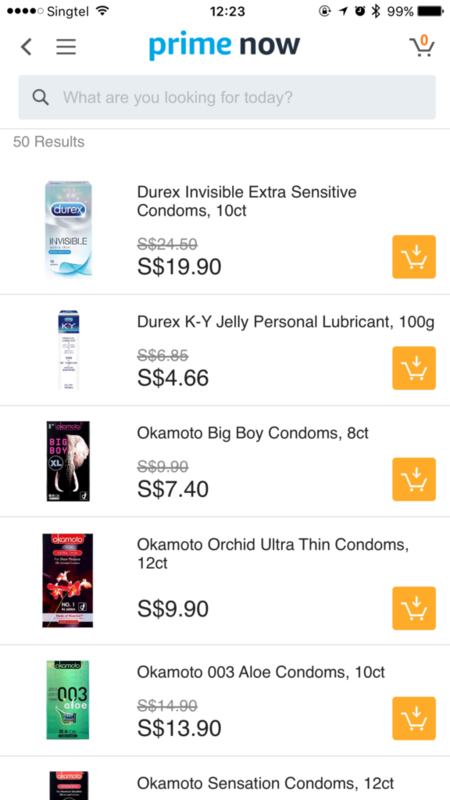 As part of the introduction of the Prime Now service, Amazon will also be offering a S$10 discount for your first order (‘10PRIMENOW‘) upon checking out. 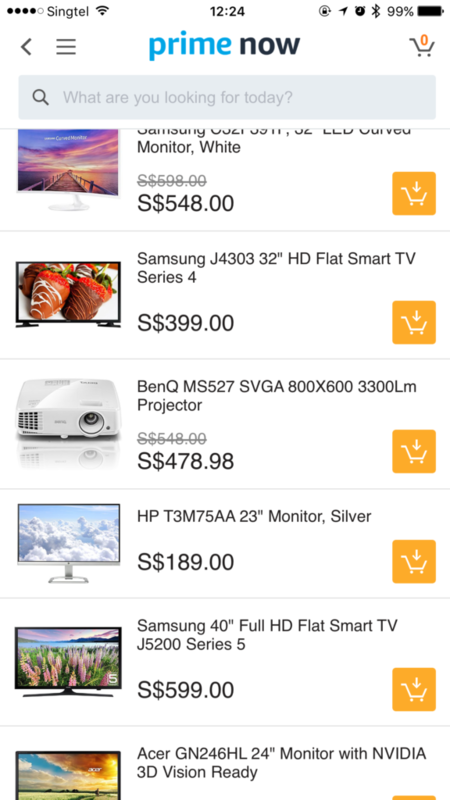 Visa card users will be entitled to a S$20 discount with your first order through the code ‘VISA20‘. Deliveries will be conducted between 10AM to 10PM daily.